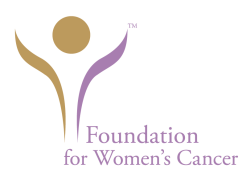 To make an additional contribution to the Foundation for Women's Cancer, please donate below. If you would like to donate to an individual, please click "Fundraiser" and select the name. To donate to a team, click "Team Fundraiser" and then select the team to which you'd like to donate. Processing fees will be added to your donation. Thank you! You may have your name appear with your donation, or you may donate anonymously. To have your donation appear as "In Memory of", "In Support of", "In Honor of", or "On Behalf of" a loved one, please choose or enter your donation amount and then click "Other" and add your personal message, plus your name if you prefer, in the text box. So please let us know in honor of who and how you want your donation to appear by using "Other". You may send a message to me or to the race fundraising participant by clicking the Message to Fundraiser/Race choice. You may send a message of support to the race fundraising participant by clicking the Message to Fundraiser/Race choice.